* 50% off on early check-in. * Late check-out upon availability. * Room upgrade upon availability. In collaboration with Design Hotels, we present you Original Experiences in Rooms Tbilisi and its surrounding. We're here for you to discover a city at the crossroads of Europe and Asia. Our guided tours are designed and tailored to meet all your needs, whether it is walking on the cobbled streets or wandering off the beaten path. You’ve arrived at Rooms Hotel Tbilisi, a former publishing house in the charming Vera neighborhood and today a hub for local and international creatives. 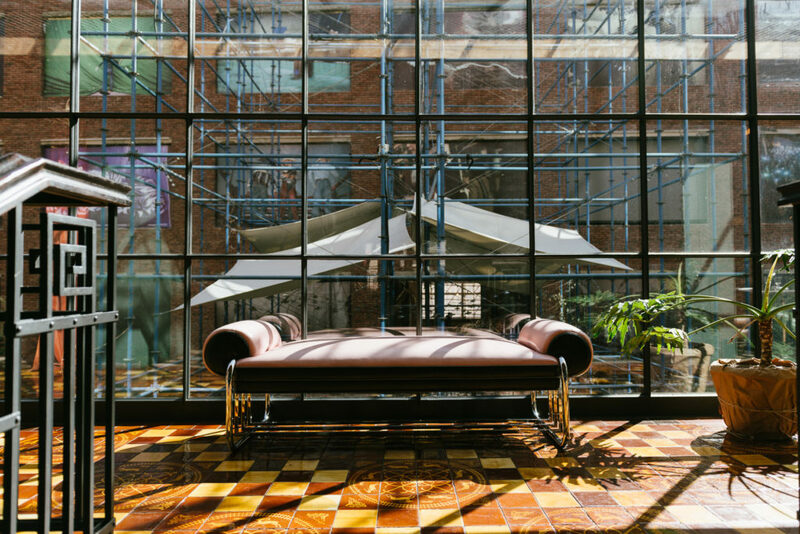 The design of Rooms Hotel Tbilisi was conceived to highlight the industrial splendour of its structure. The aesthetics of the 125 rooms and suites are the epitome of industrial-chic. Nine categories of guest rooms are spread over five floors, with the top floor reserved for luxurious rooms and suites with their own terraces and views over Tbilisi’s rooftops. The Kitchen represents the latest phase of Rooms Hotel Tbilisi’s culinary journey. Located on the ground floor overlooking the garden, the restaurant reflects the hotel’s signature aesthetic with a blend of traditional and modern design features. Head chef David Legrand, inspired by the world’s hottest spots of culinary, fits his experience with the identity of Rooms Hotel. The Bar and Lounge are Tbilisi's most authentic social and meeting spaces during the day, while turning into an inviting evening spot after the dinner. Hand crafted cocktails and gourmet bar snacks are served in the chic surroundings of the bar and terrace until 2 am, cementing the Bar Room’s position as one of Tbilisi’s trendiest spaces. The ultimate urban retreat, the Garden Bar lights up the eastern corner of the hotel’s courtyard garden. Inspired by its lush surroundings, the bar has been designed as a living greenhouse with foliage climbing over the roof and walls, and the bespoke cocktails incorporate fresh herbs and botanicals. We are thrilled to be standing behind the world's Next Generation Jet Ranger Helicopter, Bell 505, taking us to new hights. Now it is easier than ever to explore Georgia, even on a tight schedule, with friends, family or business partners. Being so rich, diverse and unspoiled in nature, the new perspective from above impresses with its breathtaking panoramas. The newest addition to Tbilisi´s burgeoning creative scene.